Published May 1, 2013 at 3149 × 2646 in Samples of Our Work: Paintings. 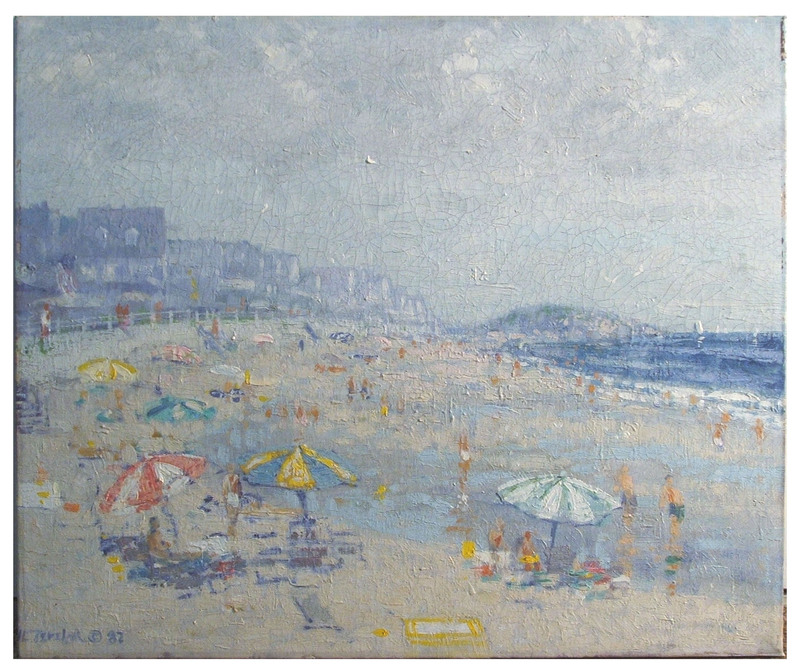 Artist John Terelak painted this beach scene onto a black ground. As the paint dried, it shrank, causing an allover network of black cracks to appear where the ground was exposed. The cracking is stable, however the owner found the cracks to be highly distracting.